Since 2009, Medicare star ratings have been the standard for assessing nursing homes. Many rely on the system to guide them in selecting a facility for their loved ones, unaware of how the ratings are actually assigned. An investigation by the New York Times (NYT) raises questions about the system and how it's structured, claiming that it can mislead the public about a nursing home's quality and conditions. According to the NYT, the problem lies in the sources and authenticity of the information used to determine the ratings. Although annual health inspections are conducted by the government, the staff levels and quality statistics are self-reported by nursing homes. Without being verified, the data and information is then accepted by Medicare. This may explain why the majority of the 50 nursing homes on a federal watch list still receive high Medicare ratings for their staffing and quality indicators. Systems are currently being developed to verify the data coming directly from nursing homes; however, they have yet to be put into effect. The ratings also do not account for fines and or penalties made on a state level. A five-star rated nursing home in California, for example, received the highest possible fine from the state for the death of a woman who was given an improper amount of medication. From 2009 to 2013, California has received over 100 reports and complaints made against this home. First-hand accounts and lawsuits filed against it contribute to the inconsistency between the home's five-star rating and what looks to be sub-standard living conditions. NYT claims that this California nursing home is only one of several facilities across the country that have been given higher ratings than they deserve. One way that nursing homes have been getting away with this is by hiring more personnel before their annual health inspection, giving their understaffed facility the appearance of being at the appropriate employee levels. Were You or a Loved one the Victim of Nursing Home Abuse? Nursing home abuse can come from many different sources, and it's a problem that should never be ignored. Feelings of anger and betrayal may be overwhelming, but we are here to help. 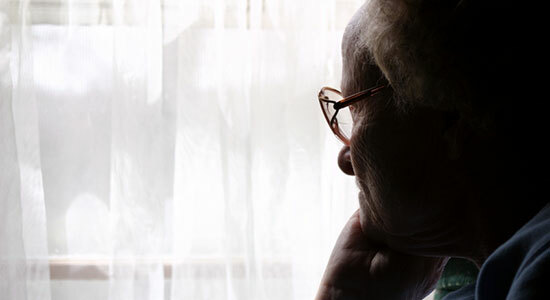 If you, or someone you love, suffered from nursing home abuse, you may have a case. Contact us now to see what we can do for you. Your legal consultation is free, and there's no obligation to use our services. Talk to us, and we'll fight for you. Source: “Medicare Star Ratings Allow Nursing Homes to Game the System.” New York Times. August 24, 2014.